Architecture has been a source of infinite fascination since long before the age of Instagram, so it’s no surprise that many an account exists documenting the best of it from around the world. What sets apart our three selections for this week’s Follow Friday is their focus on the details when it comes to construction: be it curious corners, fabulous balconies or the gloomy greys of empty spaces, these three accounts document the aspects of architecture that are often overlooked, but always compelling. 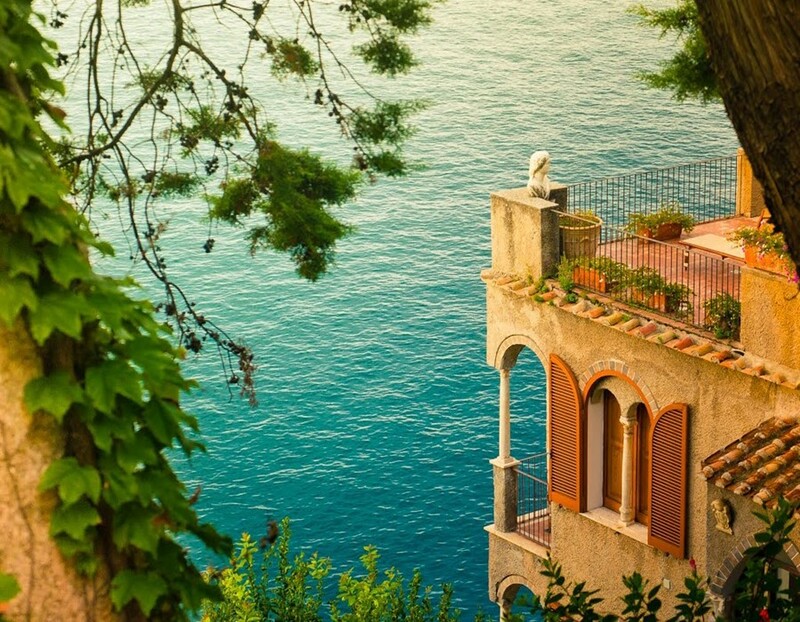 A balcony never fails to enchant. The literal embodiment of escapism, there is something incredibly appealing about seeming to float above reality perched on what @balcspiration calls “tiny gardens in the sky”. 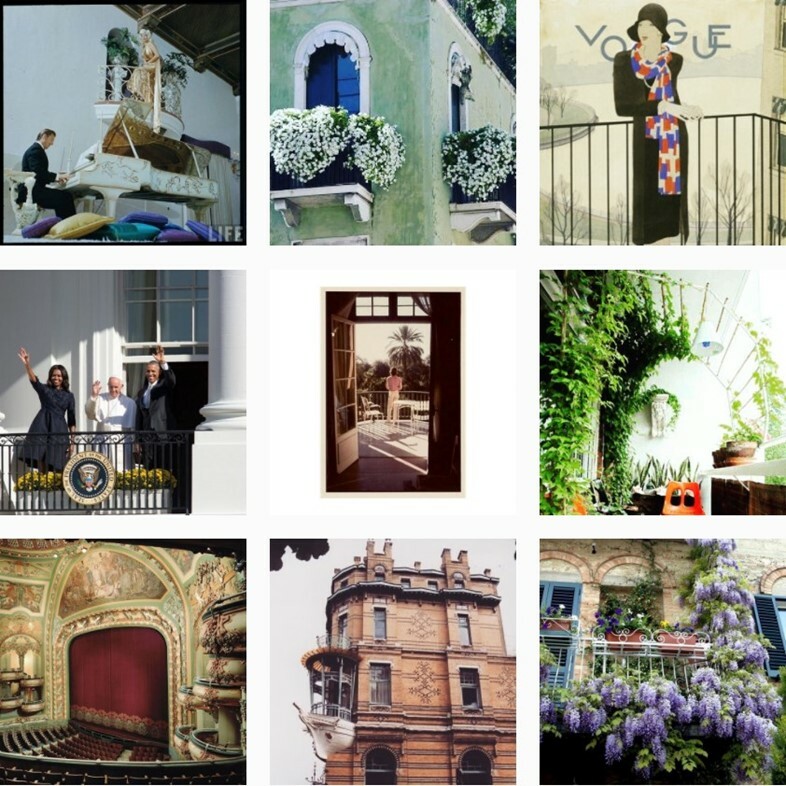 This fabulous account is full of the most beautiful balustrades you’ll ever see – from wisteria-covered spaces that are whimsy-incarnate and the pleasing regularity of a Le Corbusier creation to the Barbican’s sprawling jungle-like conservatory balconies. There’s some advice to be gleaned here, too: as the caption underneath Yves Saint Laurent’s cactus-surrounded blue house in Marrakech reads, “Be like Yves, have several balconies”. Duly noted. 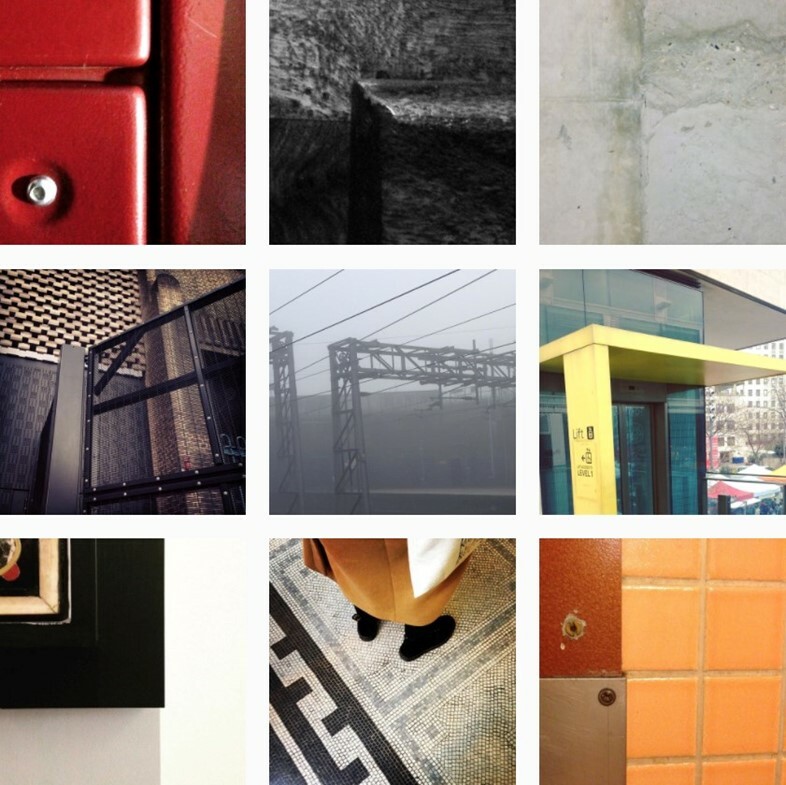 With an empty bio and an elusive selection of images, @dismalgarden is instantly mysterious. 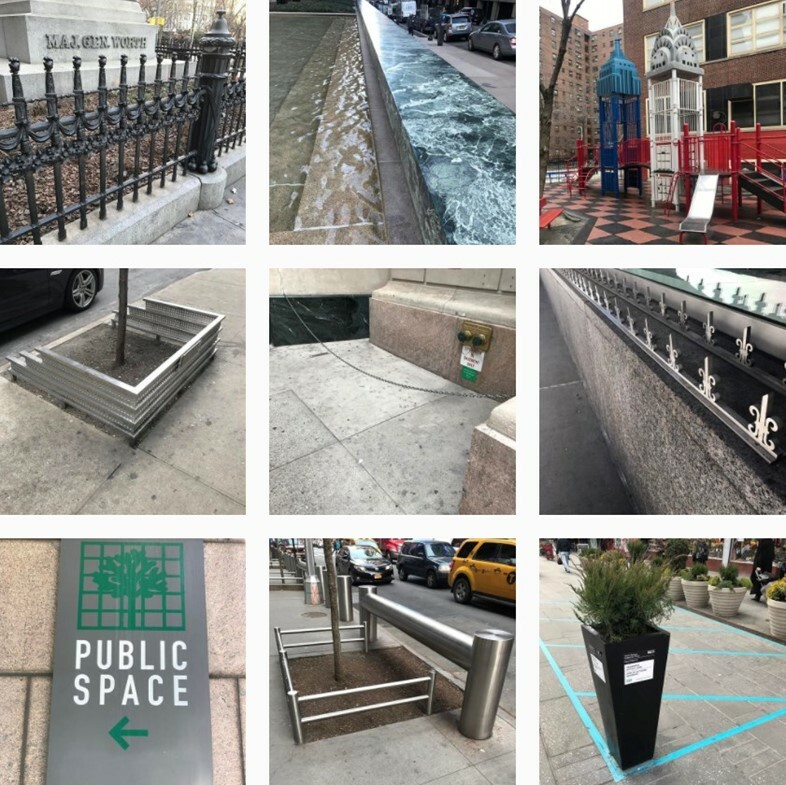 Public spaces – not always gardens, but definitely always dismal – uniformly grey and unoccupied, this lack of human presence is sometimes coincidental, and other times the result of enforced barriers. There are tongue-in-cheek observations aplenty, often slipping in some social commentary – go straight to the armed guards photographed outside Trump’s ice cream parlour (yes, ice cream parlour) – and always with a no-frills caption; “Not sure what this is. NYC” sits underneath an image of a bizarre and lofty object sat alone on a pavement. This account is one to peruse when you’re in need of a reminder that things may be grey, but that need not equate to boring. “Corner. A place or angle where two or more sides or edges meet” reads the bio of @feelingcornered, and while at first it could appear a niche topic (pun very much intended), a scroll through the feed reveals how abundant corners are in their varying shapes and forms, and the sudden realisation of the fact is somewhat arresting. We are taken on a journey of cultural corners as well as everyday iterations: the edges of a painting hanging in London’s V&A; the corner of a rusted trailer filled with #scrap in Cornwall; and then to the Acropolis, and one of the longest-standing corners around, set against the clearest of blue skies. Rather than feeling, well, cornered by the chosen topic of this account, we’re left attuned to the meeting of edges everywhere.